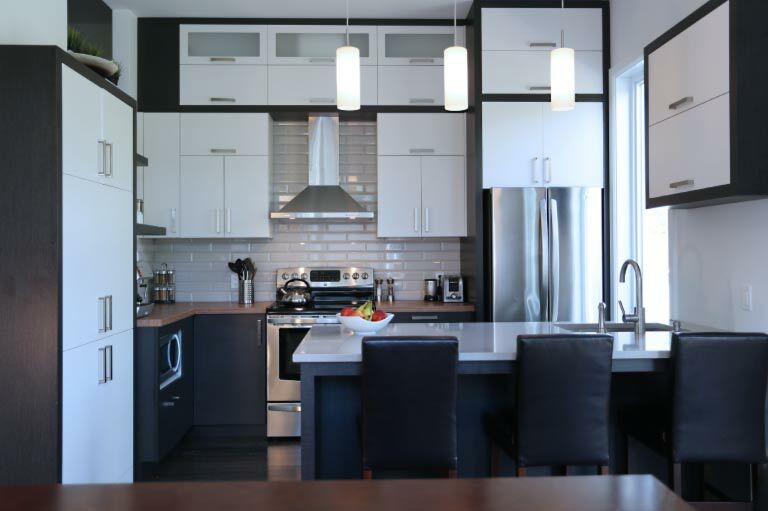 Fine Line Cabinets & Countertops offers a wide range of professional services for all of your kitchen renovation needs. We are dedicated to offering complete customer satisfaction. If you have an upcoming kitchen renovation project, don’t hesitate to visit our showroom or contact us to find out how we can help. We look forward to helping you create the kitchen of your dreams. 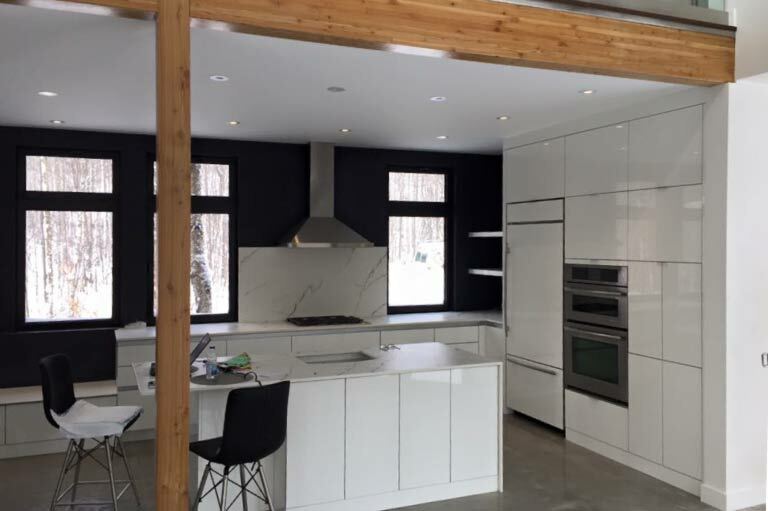 We will consult with you through every step of the design process, from initial planning, to budgeting, kitchen layout, cabinet design, and material and hardware choices. Custom kitchen design is both our passion and our profession, and we won’t stop until you are completely satisfied with your new kitchen. All kitchen designs come with a complete 3D rendering, so you will know exactly what the finished product will look like. Visit our Cabinet Page for more information on our custom design process. We know that not everyone has the time or is comfortable enough to take measurements for their project. Fine Line offers professional measuring services on-site, to ensure your final product fits your space perfect. This also gives us an opportunity to further discuss the details of your project. 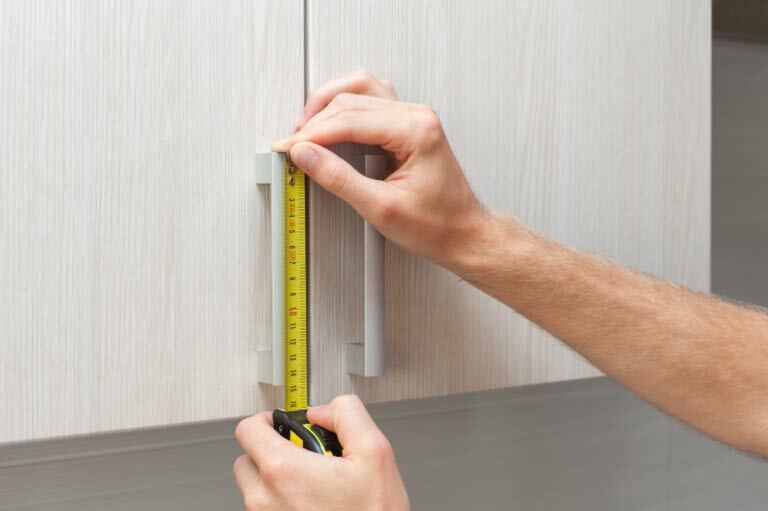 Feel confident in your upcoming kitchen renovation by getting us to help with your measurements. Cutting laminate countertop material requires specialized equipment that even the most dedicated do-it-yourselfer is unlikely to have. Fine line has the ability to cut and finish any post-form countertop to your exact specifications for easy installation. We can also cut custom angles. Either choose from one of our in-stock counters or bring us a countertop you purchased elsewhere, and we will be happy to cut it for you. Fine Line offers supply and installation packages for both cabinets and countertops. These packages include removing the existing materials, measuring the space and installing the new cabinets or countertops. 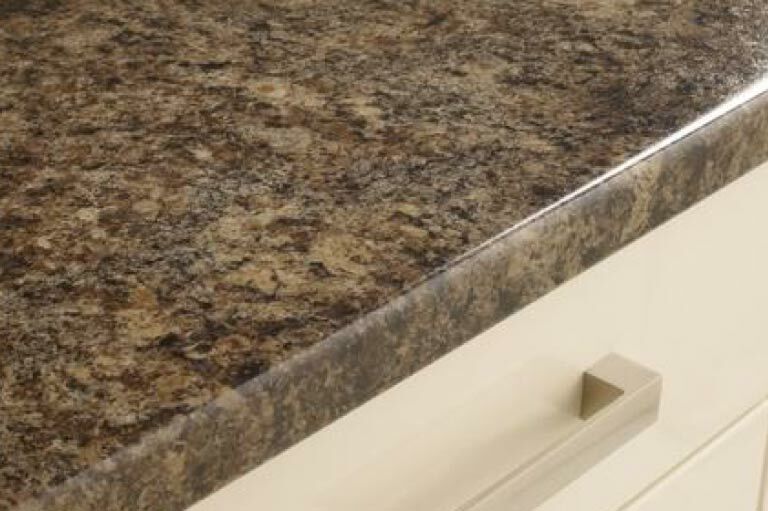 For more information visit our Cabinets and Countertops pages. Fine Line’s new product and service warranty is simple: We don’t stop until our customers are happy. If the install, material or finished product doesn’t meet your standards, we will fix it to your satisfaction. For older product and damage from miss-use, we also offer a common-sense commitment to work with our customers to find the most cost-effective solution for your problem. If you have any questions about Fine Line’s products, services or warranty, don’t hesitate to contact us at 780-830-3665 or visit our showroom at 10019 – 121 Avenue in Grande Prairie, Alberta.